Lawrence Edward Page or known as Larry Page is America entrepreneur and co-founder of Google. He developed Google in Stanford as the topic for his postgraduate degree. Today, Google is everyone choice for search engine. He became CEO of Google in 2011 to replace Eric Schmidt. After that, he and Sergey Brin created parent company named Alphabet Inc. In 2015, he was the CEO of Alphabet until now as the parent company for Google, YouTube, and other products. On March 26, 1973, he was born in East Lansing. His father is Carl Victor Page, the professor in Michigan State University. His mother is computer instructor. Both his parents shared the same background due to proficiency in computer field. 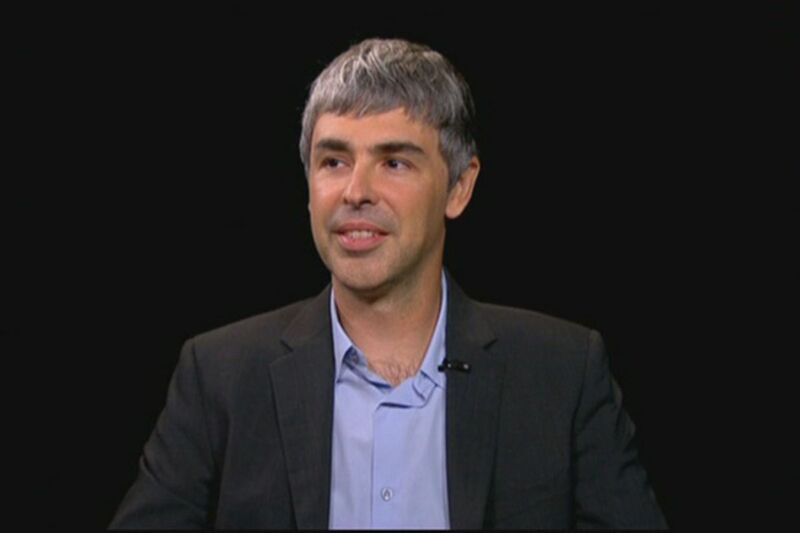 Larry Page went to Okemos Montessori School in Michigan then attended East Lansing High School in 1991. He continued to study in computer at University of Michigan to get his bachelor degree. Furthermore, he continued the stydy to Stanford University. During education period, he created inkjet printer using Lego brick, propose non-driver bus school, and few proposal related to software. While in Stanford University, he met his fellow researcher, Sergey Brin. Both were in the same topic and they developed system that became what Google will be in the next few years. Their first paper was the most downloaded scientific article in history. Page and Brin worked on project called Backrub. It was the web crawler to gather web page based on keyword algorithm. It used PageRank system and backlink one to another. In 1998, Page and Brin created Google; the initial domain name was Googol. They used loan approximately $1 million from family and friends to locate the office in Mountain View. In 2000, Google had indexes more than billion pages. Google started to gain more attention. The company received investment and added capital for more than $50 million. This was the first time where the company started to become legitimate business. With lack of experience, Page was pressured to step down. In addition, Eric Schmidt’s leadership was the most prominent era for Google. Larry Page was still the boss, and the employees considered him as leader. Any recruitment and expansion will need Page and Brin approval. After long talk with Andy Rubin, Page decided to purchase Android in 2005. He wanted to develop software and system for mobile phone. He still kept Rubin as the head of Android development. His wife is Lucinda Southworth, married in 2007. She is scientist and sister of Carrie Southworth, model and actress. Both have two children. From Google, he earned much fortune. He was always in the list of Billionaire of the richest people. In 2018, his net worth is approximately $51.3 billion. Even, Forbes put him in 10th. He saw Google too big for single entity business. He and Brin started to consolidate all products, development, and projects under Google name. They created new company called Alphabet Inc. where acted as holding. Besides internet, he had other interests in several fields. Larry Page was the investor for several startup companies; even he put money in Tesla Motors. He also concerned to environment and became philanthropist. This Evaluate May Assist Anticipate Your Heart Assault Risk—so Why Does not Insurance coverage Cover This?